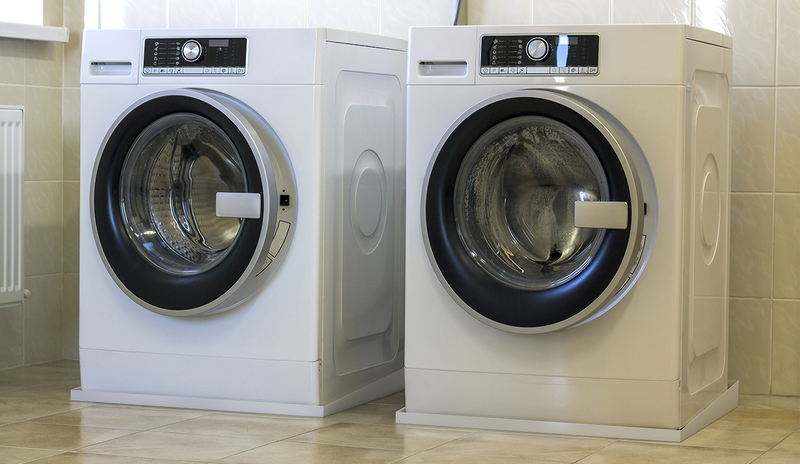 "An estimated 64 gallons of water leaked through the broken valves on our washing machines. That 64 gallons of water could have produced over $20,000 in repair costs. All that was averted because we purchased and installed a $200 pan from Killarney Metals. Thank you so much for making such a simply outstanding product. Our washing machine drain pans are probably the best cost savings measures we have ever had in our home." When protecting your home from water damage can't wait, we have a pan designed to fit your washer on standby ready to ship to you. One of the most dangerous aspects of water damage in your home is the lingering mold and mildew left behind by a leak. Keep mold out of your home by installing a Killarney Metals washer drain pan. We take the time and care to manufacture our washer drain pans so that they will not leak. We stand behind our products with a No Leak+ Guarantee. All our washer drip and drain pans are Made in the USA to certified ISO quality standards. At Killarney Metals we are proud to be Made in America Strong!